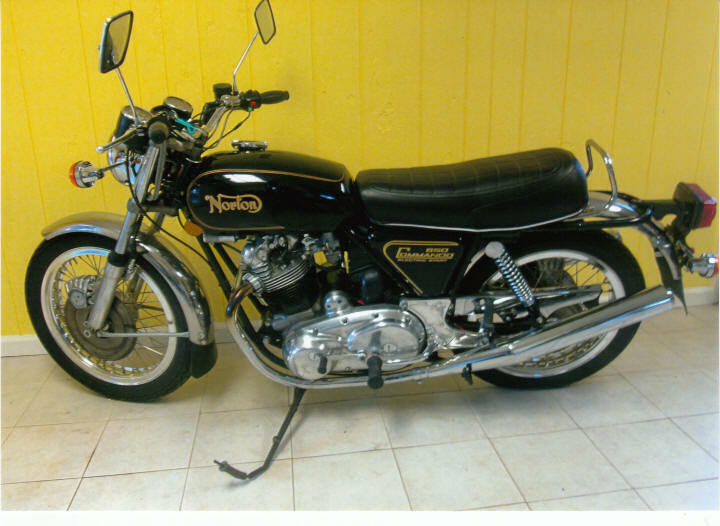 1975 Norton Commando MKIII. Completely restored 2012. Numbers matching. Original starter motor upgraded to four bushing. Original 850 engine. 1975 was the only year made with electric starter and last year made. Every nut, bolt and part was restored or replaced. Have pictures and invoices of the restoration. 15K. 602-996-8885 or 602-541-6743. Phoenix AZ.